As part of our commitment to helping to promote the latest advancements in the laser and electro-optic community, we here at RPMC Lasers would like to take a moment to shine a spotlight on one of the conferences in our community that does just that InterPACK. InterPACK is the premier International Technical Conference and Exhibition on Packaging and Integration of Electronic and Photonic Microsystems and is the flagship conference of the Electronics and Photonics Packaging Division (EPPD), in technical co-operation with the Japanese Society of Mechanical Engineering (JSME). Being held in Anaheim, CA from October 7th – 9th this year, it will be focusing on Heterogeneous Integration, Servers of the Future, Edge and Cloud Computing, Internet of Things, Flexible and Wearable Electronics, Photonics and Optics, Power Electronics, Energy Conversion, and Storage, and Autonomous, Hybrid, and Electric Vehicles. And we are excited to announce that Ping Zhou Vice President of LDX Optronics, our longest running principal, is serving as the Optics and Photonics track co-chair. For over 20 years RPMC and LDX have worked together to provide customers with the widest selection of diode wavelengths and packaging configurations on the market. We are both excited to continue to provide cutting edge laser diode packaging for our customers, and participation in InterPACK is one of the ways that LDX can ensure this. 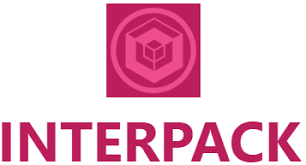 In addition to paper presentations and exhibits, InterPACK 2019 will include panel discussions, workshops, tutorials, keynote and technology talks by prominent speakers, and a Joint Industry-Academia-National Lab poster session. To learn more about InterPACK and how to submit an abstract for consideration please click on the link below to read the call for abstracts. If you can’t make the conference, you can always stay on top of the latest development in solid-state laser technology, products, and application at our online knowledge center. Additionally, to see the full list of laser diode wavelengths, powers, and packaging configurations available from LDX Optronics click here.